This is the second of Warren Mosler’s proposals that he will be working on should he become the elected Governor of the USVI. 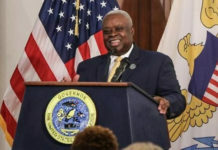 “My first press release detailed my proposals for refinancing all USVI debt at much lower rates of interest, which will save us well over $50 million per year in interest expense and allow us to reclaim at least $175 million currently sitting idle in reserve funds that will no longer be required. I am proposing a reduction in the number of our Senators from 15 to 7. St. Croix and St. Thomas will be divided into three districts each — east, center and west (with regard for not dividing neighborhoods) — with each of those six districts electing one senator to represent it in the Legislature. There will continue to be one senator from St. John, with no change in how that senator is elected. 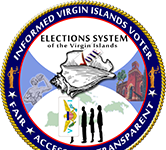 Benefits from this change include each USVI resident having a single senator who is responsible and accountable for representing his district, rather than the current arrangement where all seven senators equally represent their district of St. Croix or St. Thomas, which has resulted in little or no direct accountability, particularly at election time. The Organic Act was imposed on the USVI by Congress, and specifies the operations of our government. Congress has periodically amended the organic act, and this change will require an additional amendment. In past years, I have personally spoken to members of Congress who have visited St. Croix, and who, after discussion and analysis of the difficulties imposed by the current system, along with how my proposal addresses these issues, assured me they would support this measure if formally presented to them by the USVI government.